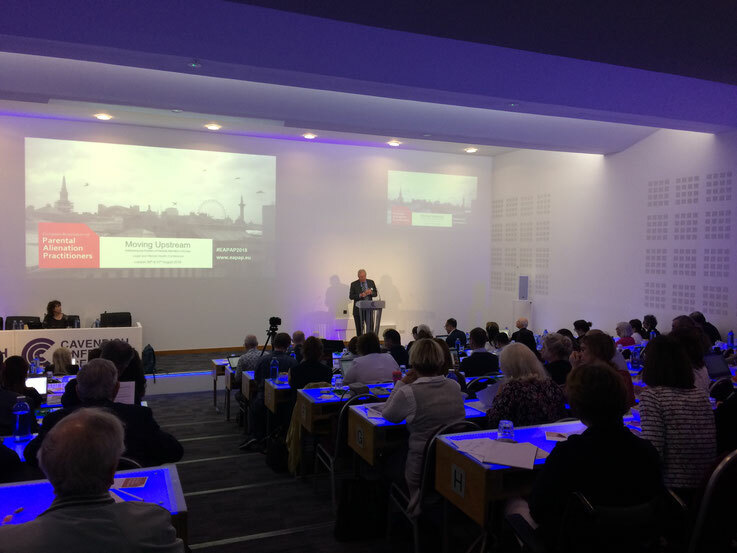 The second European Association of Parental Alienation Practitioners (EAPAP) conference, co-hosted with the Family Separation Clinic, was held in London on 30 and 31 August 2018. 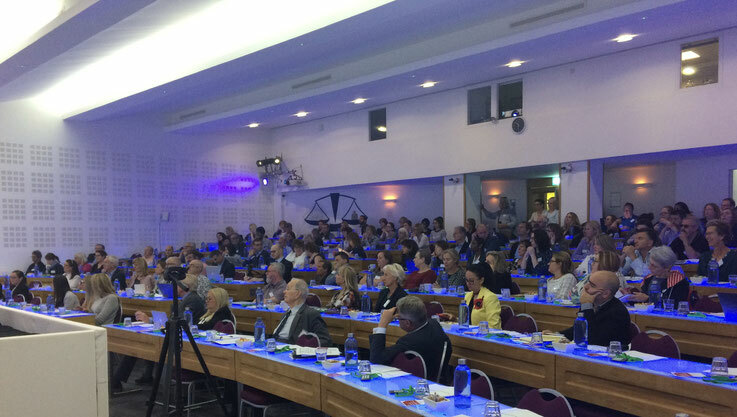 The landmark conference brought together world leading experts in the field of parental alienation to consider the legal and mental health interlock necessary to promote successful resolution in these complex cases. Described by Sir Paul Coleridge, former High Court Judge in the UK and Chair of Marriage Foundation, as a conference with gold standard presentations, the two-day event featured many of the world leading authorities on parental alienation. The event was attended by more than 200 delegates over the two days and, whilst the conference was focussed on the situation in Europe, delegates also travelled from as far afield as Hong Kong, New Zealand and the USA to attend. Attendees included magistrates, judges, lawyers, psychotherapists, psychologists, mediators and family support workers. The conference was also attended by a group of parent representatives who formed a parent panel to give their views throughout the interactive event. The purpose of the conference was to draw together the practitioners who work in the internationally recognised models which are shown to be successful in treatment of parental alienation. The Conference heard from eighteen experts in the field with the first day focussing on the legal and the second day focussing on the mental health aspects of the issue. Karen Woodall from the Family Separation Clinic in London introduced the standards of practice which will govern the work of the new European Association of Parental Alienation Practitioners. These were endorsed by the Conference and by Sir Paul Coleridge in his closing speech. Speaking about the launch of internationally recognised standards of practice, Karen Woodall acknowledged the work of Wilfred von Boch-Galhau, Ursula Kodjoe, Walter Andritzky & Peter Koeppel, pioneers in parental alienation awareness raising who organised the first international conference on PA in Germany in 2002. Recognising that the standards of practice advocated by EAPAP have been in existence for almost two decades, Karen spoke of the need to build upon the work which has already been done to establish the reality of parental alienation as child abuse. In addition to key European practitioners such as Gordana Buljan Flander, Judge Lana Peto Kujundžić and Vlatka Boričević Maršanić, from Croatia, Simona Maria Vlădică from Romania, Sietska Djistra from the Netherlands, and Francesca Wiley, Andrea Watts, Victoria Green, Hamish Cameron and Nick Woodall from the United Kingdom, the conference heard from North American speakers including Amy J. L. Baker, Brian Ludmer, Bill Bernet, Steven G Miller, Jennifer Jill Harman, Eric J. Green, Linda Gottlieb and Leilani Sinclair. Delegates at the 2nd European Association of Parental Alienation Practitioners conference in London. Retired High Court judge, Sir Paul Coleridge, opens the EAPAP conference in London.